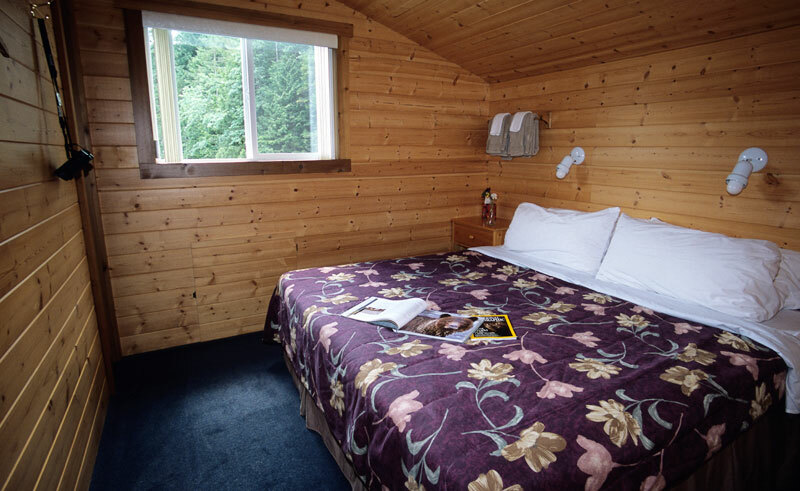 Situated in the Great Bear Rainforest, this floating lodge has just 8 guest rooms, making for an intimate experience in this pristine wilderness. Accessed only by floatplane, wildlife here is the key attraction, providing excellent opportunities to view grizzly bears in their natural habitat. Two grizzly bear viewing sessions are scheduled daily and, depending upon the time of year, the behaviour you witness will vary significantly. In the spring, grizzlies spend time in the estuary feeding on grasses and sedges, while in the summer they can more often be found gorging on berry patches, grazing on grasslands and scouting for early salmon. Autumn sees a move to the river, where they congregate in anticipation of the Pacific salmon that spawns here. All viewing excursions are accompanied by expert biologists to ensure you get the most out of your encounter with Canada’s wildlife. You may well be lucky enough to also spot one of Canada’s other intriguing species, including wolves, black bears, pine martens, mink and bald eagles. Natural history presentations are held in the common room, while outside the natural wood decks are a popular spot to enjoy a glass of wine at the end of the day. Meals are prepared using fresh and local ingredients and all food is organic, when available. 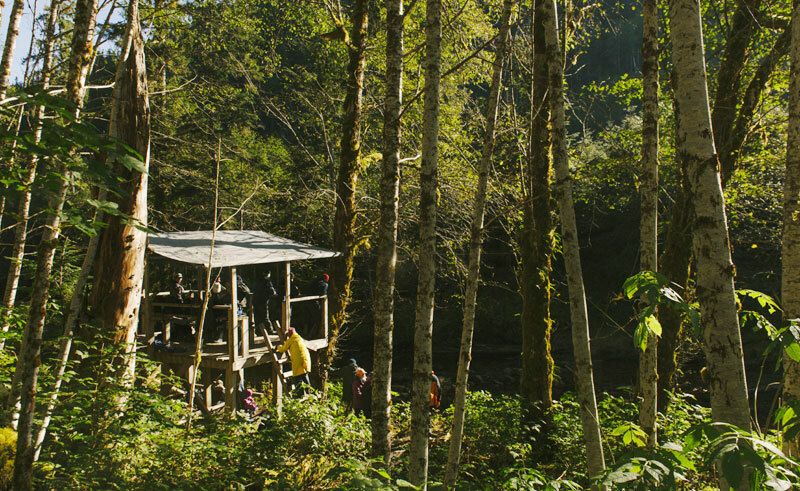 Great Bear Lodge is self-contained and functions on wind- and solar-power. Each bedroom has a private ensuite bathroom. We recommend a minimum 2-night stay to maximize this memorable experience. 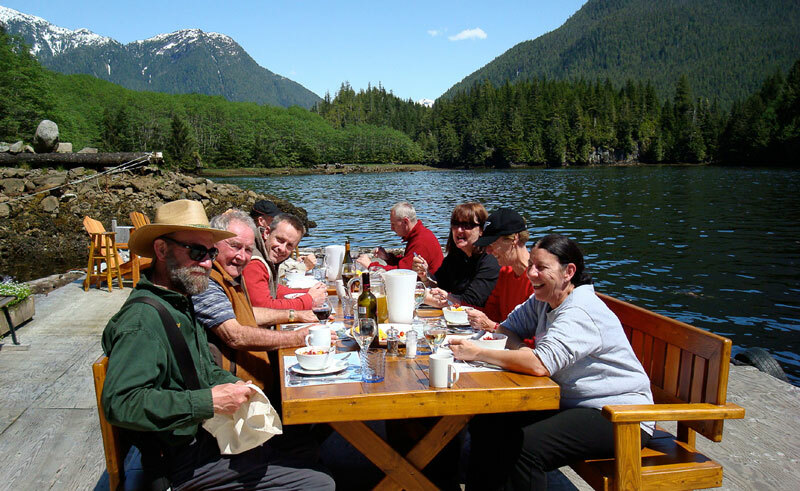 We can help to organise your tailor made holiday in Canada to incorporate a stay at Great Bear Lodge, including return float-plane flights from Port Hardy, accommodation at the lodge, twice-daily guided bear-viewing excursions, all meals, wildlife presentations, optional guided hiking, kayaking and boat cruises, and loan of rubber boots and rain gear if required. Please send us an enquiry for more information.